This past week I worked on my postcards for the Hope-filled Art Postcard Exchange, organized by Gretchen Miller and Nancy Lautenbach and part of 6 Degrees of Creativity. Participants create three art postcards about “hope” to mail out and will receive three in return. 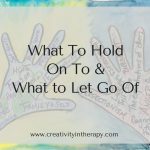 If you’ve been reading the blog for a while, you know that I love the collaborative and interactive projects from 6 Degrees of Creativity as a way to connect with the larger community of creativity and art therapy. In particular, I have really appreciated the idea of creating art to be given away, art that can make someone smile or lift their day. 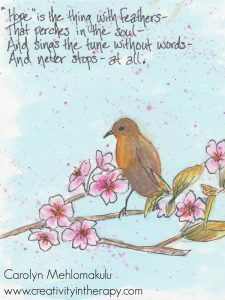 The hope-filled postcards is a wonderful activity in that same spirit, encouraging art that sends hope out into the world. As I worked on my postcards, I thought about other people in my life that that I would want to send this hope to, so I plan to make more of these hope-filled postcards and send them to people I know that could use some encouragement, love, and hope. 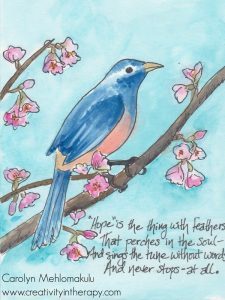 Hope is a powerful and essential thing for every life, and it is something that deserves our focus in our personal art-making and in the healing power of art therapy. Art can express a lot of things and serve a lot of different purposes. 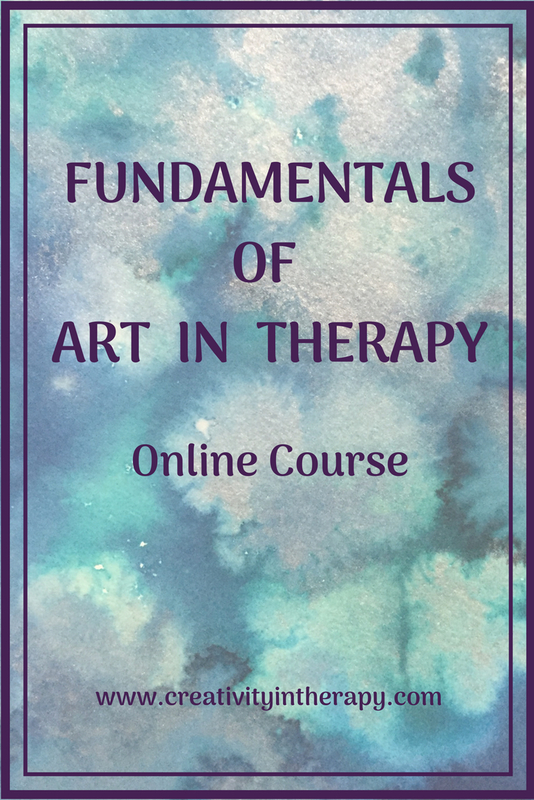 The skillful art therapist helps to direct the client toward a use of art that will be healing and helpful for them. 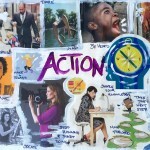 One of these possible purposes of art is to focus one’s attention on the positive in life. 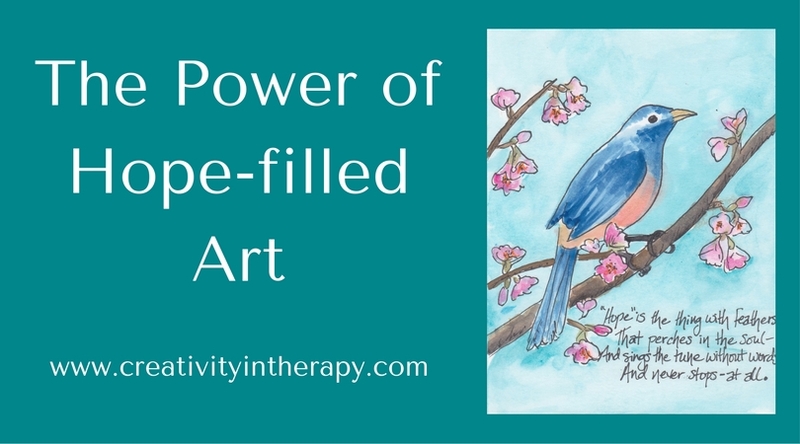 At times, there can be a lot of focus on art therapy as simply using art to express one’s feelings. 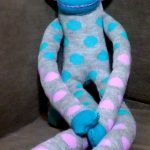 While this is important and can be cathartic, the research around positive psychology suggests that there is a lot of benefit to intentionally focusing on things like positive experiences, hope, and gratitude – not only negative emotions. 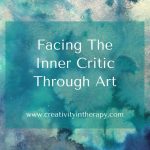 For some people, creating art about their (negative) feelings and experiences can lead them to feel worse. 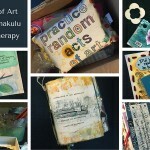 Making art about positive memories, hopes, dreams, and gratitude, leads us to focus on these things and can lift our mood. 2. 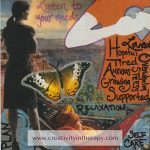 Create a collage/drawing/artwork about what gives you hope – This is a directive that I use often in the hospital with the mental wellness and sober living groups. 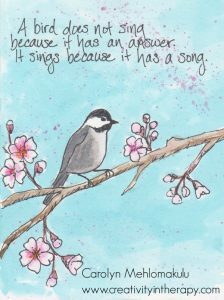 I find that clients really enjoy working on this activity, and hope can be an important part of recovery. 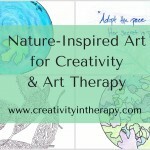 Do you have any other ideas for hope-filled artwork in art therapy? Please share them in the comments! 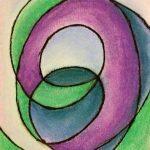 I just discovered your delightful blog on the 6 Degrees of Creativity page. 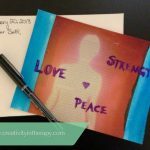 I too am an art therapist and blogger participating in the Hope cards exchange. So happy to ‘meet’ you here. Hi Sally! Glad you discovered the blog. Thanks for reading. I love getting to “meet” people through these exchanges.